Captain Dave's St. Lawrence River experience takes place aboard a 27 foot Sportscraft equipped with up to date electronics. The vessal includes a marine restroom and gear storage area. Included in your day are rods, reels, bait, tackle and a live well to keep your catch of the day. On your guided trip, depending on the season, you will be fishing for northern pike, bass, walleye and musky. Capt. 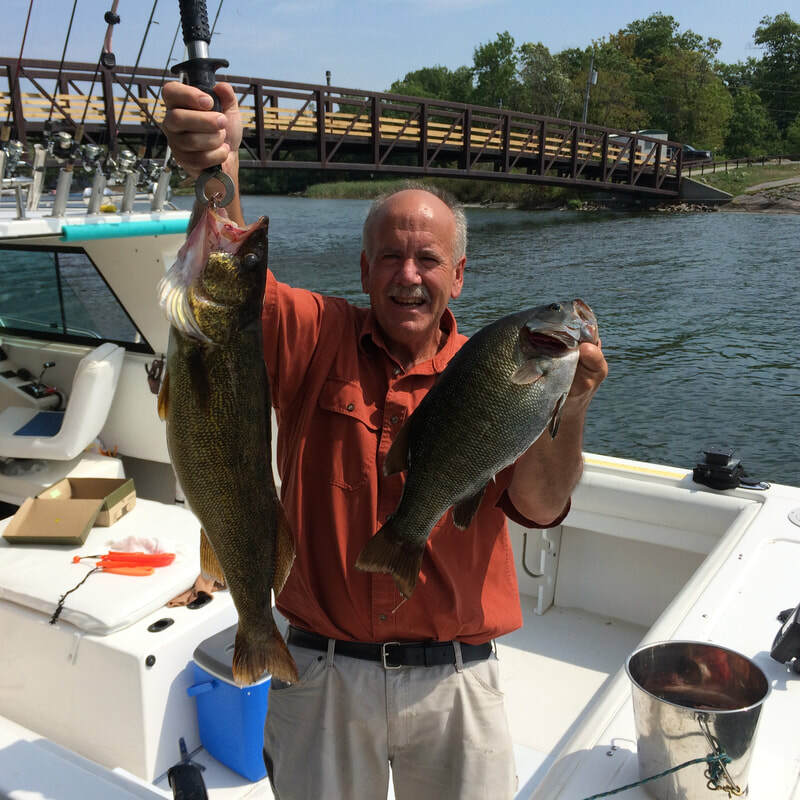 Dave is a U.S. Coast Guard licensed guide and a NYS licensed hunting and fishing guide. Shore Dinner - A Thousand Islands Tradition! A Thousand Islands Shore dinner is a staple and Capt. Dave knows how to make it best! With the fresh fish caught from your full day trip, Capt. Dave will prepare a delicious dinner for you and your guests. Capt. Dave's shore dinners consist of: BLT's, baked beans, salt potatoes, your fresh catch of the day fried, and St. Lawrence River French Toast served with local maple syrup.